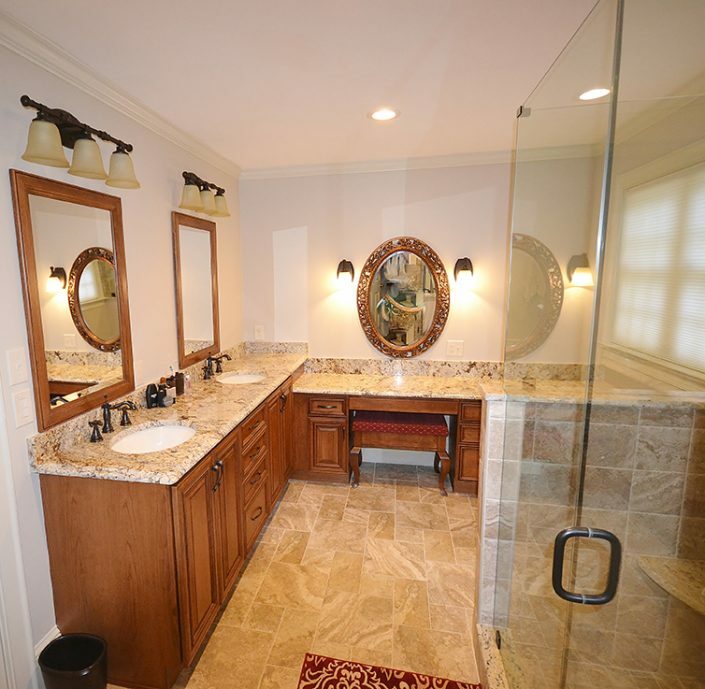 We hired Chester County Kitchen & Bath to remodel our master bathroom. The bathroom is absolutely beautiful. 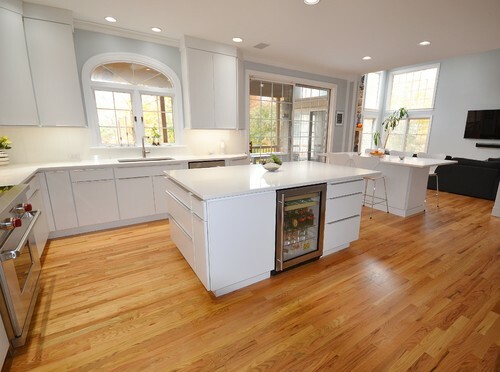 Eric was awesome to work with & we would highly recommend CCK&B. We completely remodeled the bathroom & although there were challenges along the way, Eric always came back with an idea or solution to meet our vision of the bathroom we wanted. He kept us informed and updated at every step. We also enjoyed working with Stacy, she stopped by to check on progress & address any concerns. 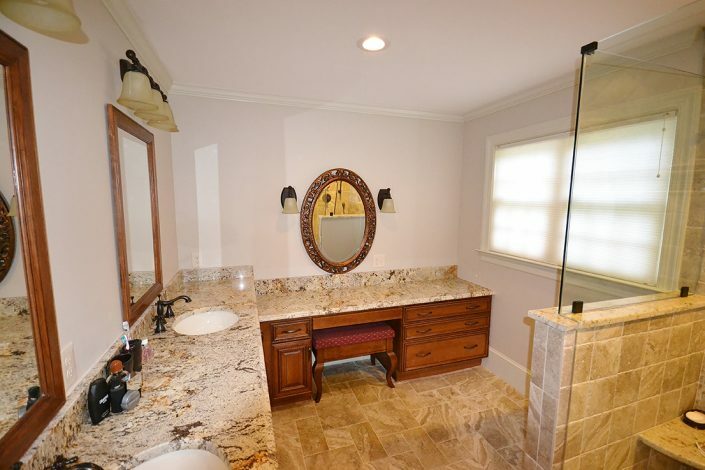 The contractors that completed the work were great to work with as well, they even offered suggestions along the way to make the bathroom a dream come true. Thank you Eric, Stacy & Nathan! We love our bathroom, check out the pictures under Master Bath Remodel West Chester to see the finished bathroom! 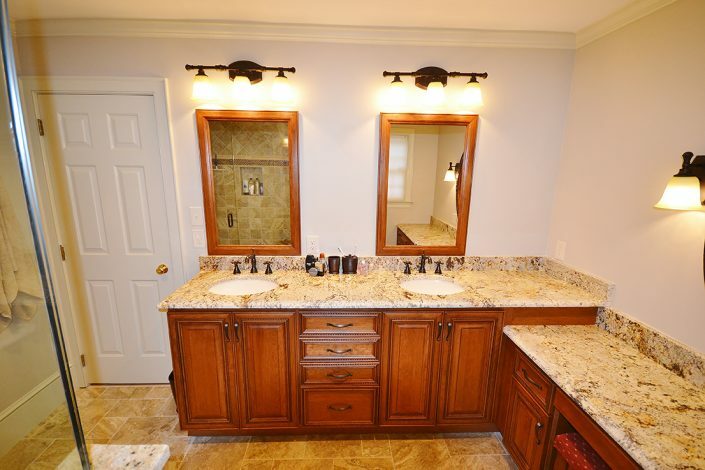 Gorgeous master bathroom remodel in West Chester, PA. Fieldstone cabinetry was selected in a cherry wood species. Stain color is Toffee with a Chocolate Glaze. Reading door style, square flat panel. Doors are self- closing. 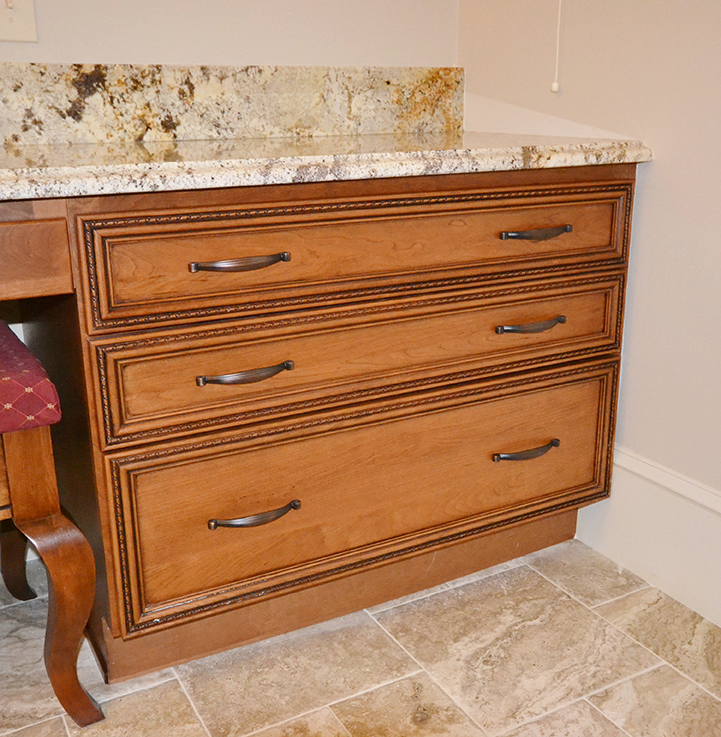 Final touches on cabinetry is Hardware by Jeffery Alexander, Lillie series. Ice Brown granite countertops were selected and Colonial Cream granite in the shower. 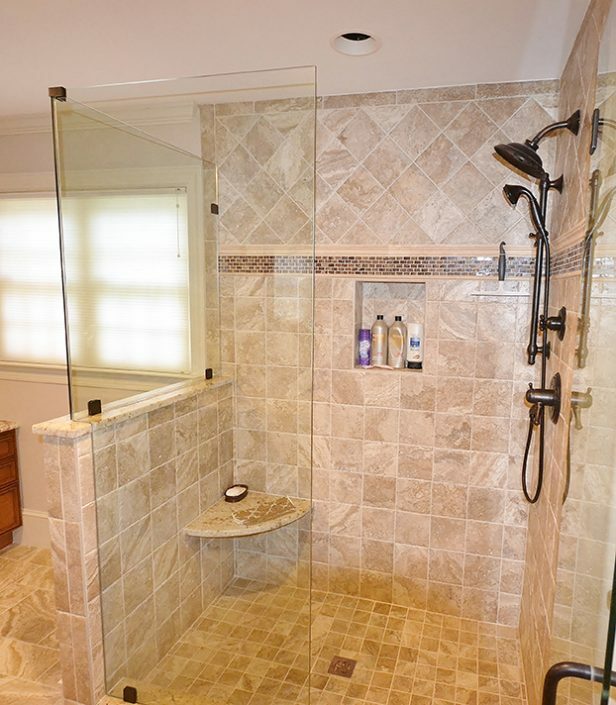 Gorgeous warm, neutral beige tile for the flooring. 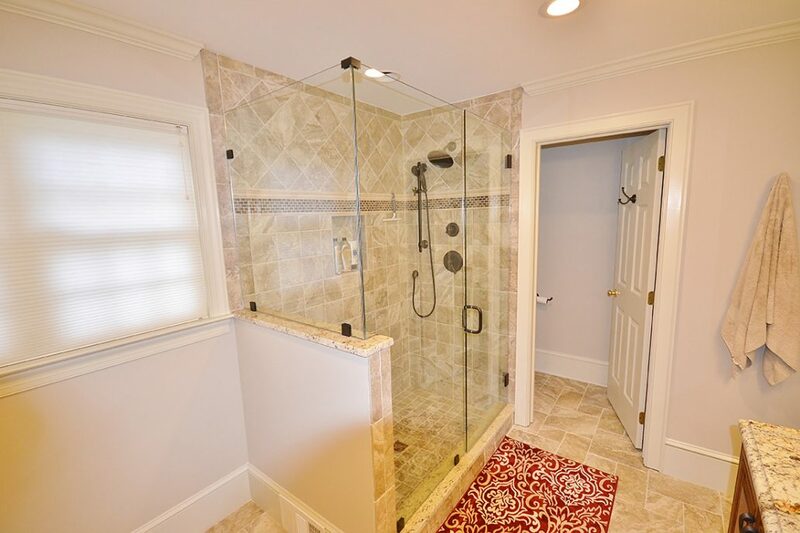 Glass shower doors were custom made and display the beautiful corner shower.